Times are hard in Singapore and it seems this might continue for some time. According to a 2015 Standard Chartered Report, Singapore households are among the most indebted in the region. According to the Ministry of Manpower (MOM), unemployment rates are rising in the backdrop of a slowing economy. A recent report by the Monetary Authority of Singapore (MAS) shows the economy is shrinking with most sectors taking a hit from global uncertainty. In such an environment, accessing credit becomes difficult and this is more so for unemployed single mothers. The number of unemployed single mothers in the country has gone up and this leads to further strain among households. As a single mother, bringing up your kid(s) becomes a full time job which you have to fund from your pocket. A 2014 survey aired on CNBC shows that the increasing cost of living is affecting the youth and single parent. Over 75% of respondents agreed that cost of living is a big concern and 57% of these were unemployed single mothers. Solve emergencies: In life, financial emergencies are inevitable and you need a quick solution to get you back on your feet. With a licensed loan provider, you are assured of a quick solution to help you cope with any urgent issues. Emergencies can range from medical issues to pending bills. Better credit rating: Taking a loan and repaying it on time improves your credit score. This is because the credit bureaus are always monitoring your financial transactions. Repaying a loan boosts your credit score and you can access more loans at a better rate in future. While your bank might seem like the obvious recourse during a financial emergency, you will be surprised to realize this might not be the case. As a single mother without a job, your bank considers you a big risk and you will most likely get a rejection. This is what has led to the popularity of private moneylenders who offer different loan products at the best rates. Flexibility: Unlike your bank, a moneylender offers a tailor made product to suit your financial needs. As a single mother without a job, your needs differ from any other borrower and this is what a moneylender considers when arranging your loan package. Your loan will be based on your exact needs and the repayment schedule will depend on your current financial situation. Quick approval: If you have a financial emergency, you apply online and go on and don’t have to wait for days or weeks for an approval. A moneylender can even accept your application online before confirming approval. Wide range of products: Moneylenders provide a wide array of financial packages to choose from. If you need a car loan or a medical loan, there are lots of financial products to choose from depending on your needs. Customer support: Moneylenders depend on constant engagement to earn new customers while also retaining existing clients. One of the greatest complaints against traditional banks in Singapore is poor customer relations and this is one reason moneylenders are more dependable. Before you start shopping for a loan, take a step back and consider your financial needs. In fact, most moneylenders have financial advisors to advise you on the best loan product to suit your needs. If you feel like your finances are not in order, try using a financial advisor in order to get solid information about the best way out of your financial rut. It is important to seriously evaluate your income before committing to any loan product. For instance, are you going to use your home or car as collateral? Do you have any projected source of income in future? As an unemployed parent, remember the first priority should be to your family. Choosing the right lender will largely determine the quality of services you will get. Singapore has a long history of unscrupulous moneylenders who later resort to threats and blackmail. When choosing a moneylender, ensure you confirm their licensing. It is now easy to confirm whether a lender is licensed by simply going online. The regulatory authority offers licenses to qualified lenders after closely checking their qualifications. The internet provides you with lots of information and this is where you search for the best rates. Loans for single unemployed mothers are available but to find a product that perfectly suits you, take time to compare these rates. There are many online comparison websites to choose from and they help you find the best loans at the most affordable rates. More importantly, you will find reviews and testimonials about different moneylenders. Your family and friends can give solid information about the best loans and lenders in the industry. Most single mothers in the country are struggling financially and they are well informed about loan products you can find in the market. More importantly, they can also give financial advice if you are looking to buy your first loan as an unemployed single mother. One of the greatest pitfalls for borrowers in the country is over borrowing and this is one reason most households are in debt. Singapore’s household debts are mostly from credit cards and according to analysts, this is due to easy access to loan products. If you are buying a loan, avoid the temptation to go overboard because you will still have to pay for the loan. Defaulting ruins your credit score and you will have problems when shopping for a new loan in the future. A good moneylender in the country should be ready to customize their loan product in order to suit customers’ needs. Your needs as a single unemployed mother are different from other borrowers hence the need for tailor-made products.  Talk to different lenders in the city and confirm if they can offer a custom loan product. When it comes to financial products, there is no one-fits-all solution because every borrower has varying needs. As a single mother without a job in Singapore, there are many pressing financial needs to cater for. However, you need to plan ahead for your loan to avoid running your finances. If you are buying a loan to cater for your kid’s first bike, then make sure you buy it and you will not regret when repaying. 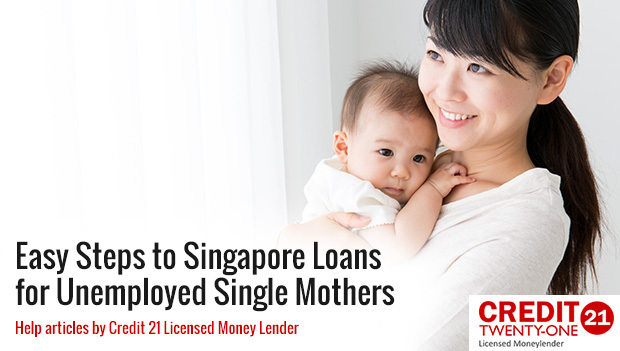 A loan for unemployed mothers in Singapore doesn’t have to be a difficult affair. Take time to assess your needs, compare rates from different lenders and finally shop for the most flexible loan product.